The New Patriotic Party(NPP)stands the chance of losing woefully in the Northern Region if the party continue to tolerate the conduct of its Northern Regional Chairman,Daniel Bugri Naabu.Sippets of information gathered from the Northern Region point to the fact that the majority of the people are unhappy about the on-going underground attempt by Anthony and Karbo and some other Northern ministers to ensure the retention of Bugri Naabu in that capacity.Majority of people who vent their frustration at the turn of events,soon after the news of the creation of new District,which has Bunkprugu Yooyo as one,said Bugri Naabu is a threat to peace and security in the region. Information gathered is that Bugri Naabu is unhappy about the fact that Bunkprugu Yooyo will be made a District hence has allegedly engaged the services of some vigilante groups of which he is nurtured himself to storm the area,shooting indiscriminately without any provocation just to create the impression as though Bunkprugu is not a stable area deserving a District.A source told this paper that "these people fired gunshots in the town to create impression that there is no peace here.But we can say without fear or favour that what Bugri Naabu is doing will cause the downfall of the party if care is not taken ". 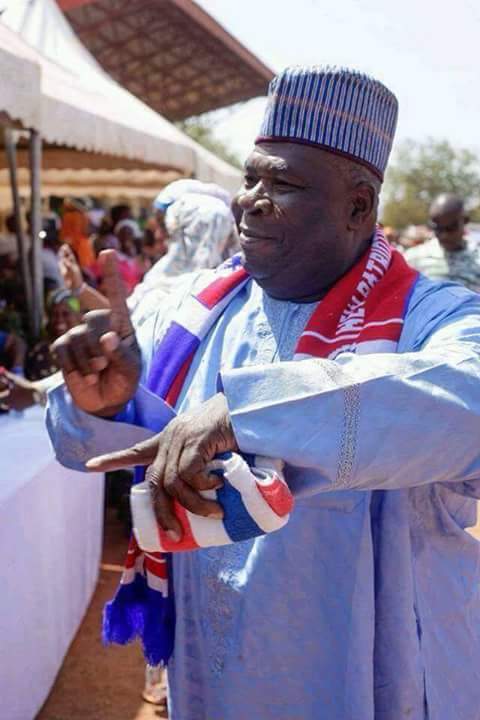 According to some party faithful in the Northern Region,Bugri Naabu's continuous interference and distraction in the operation of certain programs of the government including the School Feeding Program in the Northern Region leave much to be desired to extend he has confronted the UDS to demand a list of quota of lectures they intend appoint with threats. According to them,his disrespect and blasphemous attitude against his own political party,will kill the NPP.They averred that attempts by some elements within the NPP to retain Bugri Naabu as the Northern Regional Chairman can spell doom for the party considering the fact that he is not in the position to add anything to the fortunes of the party. They indicated that they have been silent and patient for far too long,expecting the party hierarchy and other well-meaning Ghanaians to call Mr. Naabu and his cohorts to order,but very little or no efforts have been made to protect the integrity of the government.They added that Mr. Naabu and his cohorts' attempt to demonize well-meaning personalities within the NPP including Ms.Djaba,the Northern Regional Minister,Mr.Salifu Sa-eed, the Deputy Northern Regional Minister,Mr.Solomon Boar,the Mayor of Tamale,Mr.Iddrisu Musah Superior, youth groups, media houses to mention but a few .An executive who also spoke to this paper on anonymity said "Even when you look at the constituency he is coming from was the constituency that performed the worse in the last election in the Northern Region, the worse any serious party chair can record.So we don't understand why people are trying to manoeuvre to maintain him as the chairman ". He said the NPP cannot afford to lose power in 2020 just because of ill-intentions of one person who has failed to accord respect to his own party and government decisions.